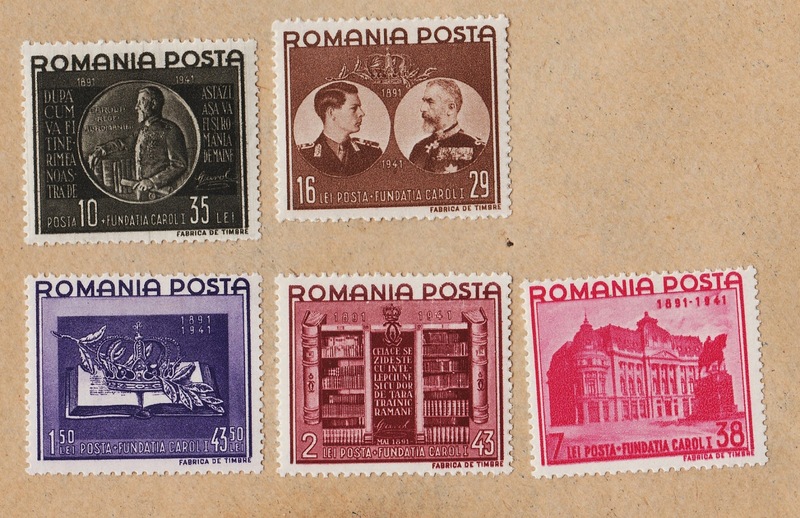 A) there were 3 issues of the series : 1st in 1890 with Watermark[ The watermark in use is a large coat of Arms (1) ] , the 2nd in 1891 without watermark.. These are stamps from King Carol I series from 1893/1908...In this series there are 6 main designs differing mainly in the frames , ornaments , labels and numerals.. the King's portrait remains the same in all the designs..There are 5 distinct issues of this series... the first in 1893/1898, the 2nd in 1899, the 3rd and 4th in 1900 and the 5th in 1908..
1st Issue] with Wmk PR (2)(3) 2nd Issue] New colors : wmk PR (3) 3rd Issue] wmk with large Coat of Arms (25 stamps) : rose tinted paper in the back of the stamps 4th Issue] Without Watermark : rose tinted paper in the back of the stamps 5th Issue] No Watermark : White paper. 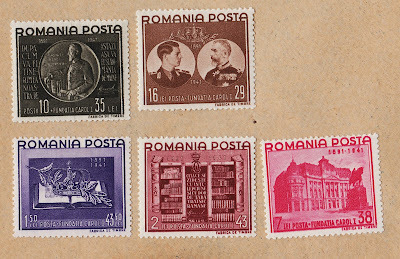 From 1942,the stamps represent Titu Maiorescu and they belong to a War Fund..